Currently viewing the tag: "civil society"
Let’s get real about the transformation of society: can you email me directions? In relation to development and social change, money is both a curse and a cure, both “beauty and the beast.” Financial resources are essential to the functioning of most programs, policies and institutions, and they can help to make great things happen. Yet inevitably, money also raises questions about inequality, the strings attached to funding, and the power of those who hold them to push resources to causes they approve of, perhaps even weakening or corrupting authentic social action in the process. So how can money help to foster social transformation? Read or download the full paper here. 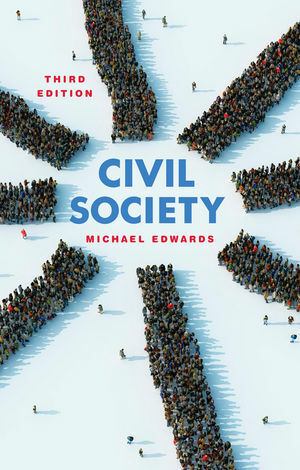 What’s the Future of Civil Society? Where is civil society heading in the future and what forces will shape its evolution in the coming years? Check out this interview with me at the INTRAC Anniversary Conference in Oxford. Thick Problems and Thin Solutions: Can NGOs Help to Bridge the Gap? Could an Emergency Fund Help NGOs to Put the Humanitarian House in Order? Let’s face it, humanitarian assistance is in a mess: increasingly reactive and politicized, ignoring emergencies that are out of the media spotlight, and “poorly coordinated and poorly integrated” when the system does respond, to quote the most rigorous assessment of earthquake relief in Haiti. 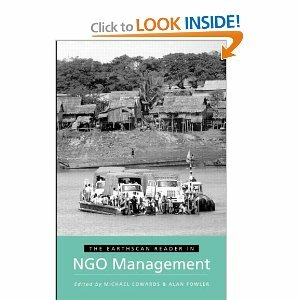 Thousands of NGOs compete for money that – usually too little and too late – is delivered by donors entangled in bureaucracy and obsessed with branding and control. The result is that everybody loses, especially those most in need on the ground. But, complaints apart, what are NGOs doing to invent a better system? What can the ‘Big Society’ learn from history? Are you for or against “philanthrocapitalism?” Watch me and Mathew Bishop from the Economist slug it out here!